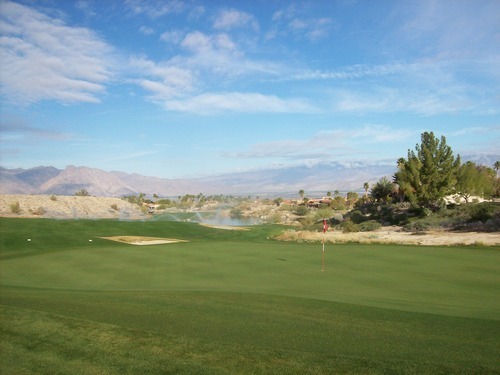 On Monday, I had the opportunity to play the recently reopened Rams Hill Golf Club in Borrego Springs. I’ve been looking forward to this for awhile because I never had a chance to play the course in any form before. I say “any form” because this place has a pretty rocky history, and I won’t claim to know all the crazy details. 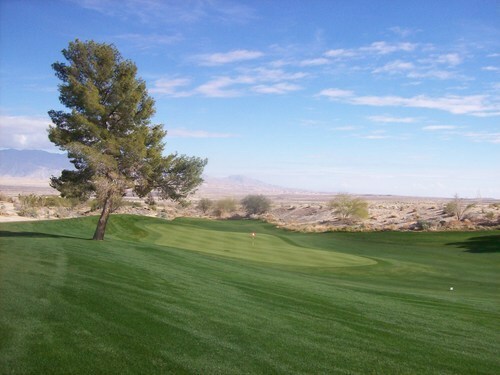 From what I know, it was once a 27-hole, Ted Robinson-designed course known as Rams Hill. 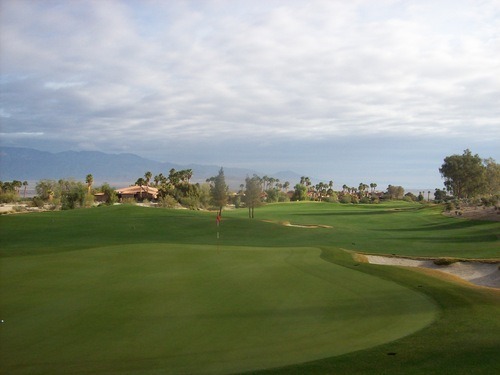 Then, it was completely renovated by Tom Fazio as a traditional 18-hole layout and renamed The Montesoro Golf Club. 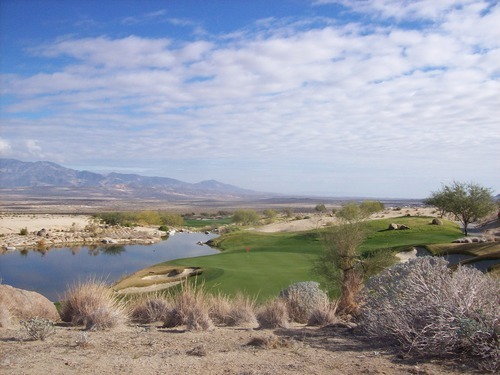 They went under again and the course was closed for several years until the new ownership came in, negotiated favorable water rights and resurrected this once great track. In so doing, they went back to the original Rams Hill name. Tom Fazio was brought back to oversee the latest renovation. 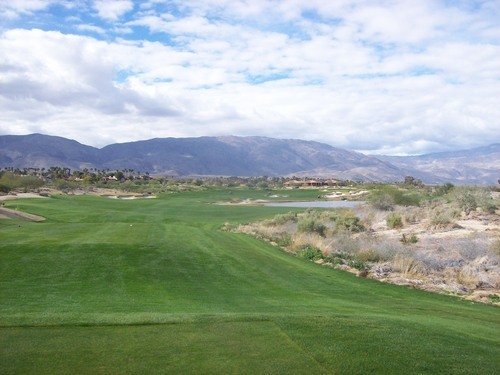 The course reopened late last year after a lengthy build-up, and the reviews have been nothing but stellar ever since. One of the great things they did to cause some positive buzz and bring in some visitors was to offer a “free round” to early subscribers of their email list. The only catches were that it had to be redeemed on a Monday-Thursday and also required a nominal $20 cart fee. Considering the rack rates here are currently listed at $150 in the morning and $75 in the afternoon, this “free” offer was a hell of a deal. Some buddies and I had originally planned to play here on New Year’s Eve because we all had the day off from work, but there was really bad weather that day which forced us to cancel our plans. I had taken this Monday off for another reason, but decided to use it instead for my own visit to Rams Hill. It worked out well and the weather definitely cooperated with me this time around. I had booked an 8:50 tee time. When I called to book it, they made it sound as if things were pretty busy and that was one of few times available. They also let me know I’d be playing along with another single, which was fine with me. When I arrived around 7:30, there were some men’s club members getting ready to go out. Three groups teed off and then the first tee was wide open for awhile and I didn’t see any other players there getting ready to go. 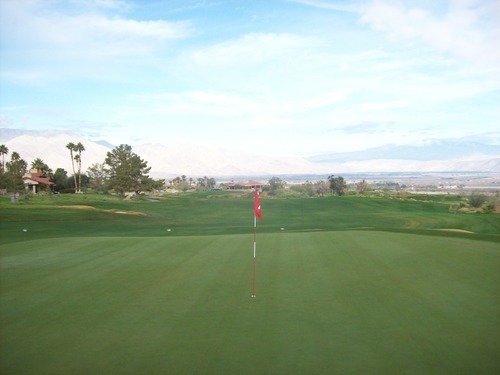 I went down to the nice driving range to warm-up and then rolled some putts on the pristine practice green as I waited for further instruction. Ultimately, the pro shop guy came out around 8:30 and let me know I could head out whenever I wanted. Knowing there was those three groups ahead of me, I was hesitant and told him I was fine waiting until that other single showed up. He let me know that guy cancelled and I was on my own, with no other players booked for awhile. I went ahead and teed it up on my own and took my time (well, by my standards) to relax and enjoy the experience while taking a lot of pictures. Early on, there was some cloud cover to the east with the sun trying to poke through, so any photos facing that way on the front nine really didn’t come out great. However, it was clearer to the west and I got some great pictures with that perspective. 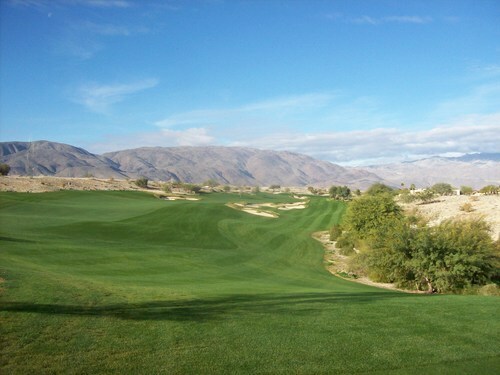 After awhile, the sun came out for good and I was able to fully enjoy my beautiful surroundings on the back nine. I did catch up to the men’s club groups on the 6th hole, but as fate would have it my cart ran out of juice. I called the pro shop and he was very helpful, letting me know they’d get someone out there as quickly as possible. I was at one of the furthest points away from the clubhouse, so it took about 10 minutes for my replacement cart to arrive, but the guys who brought it were super nice and apologetic. That gave me a little gap before I caught those groups again a couple holes later. Rather than force my way through awkwardly, I tried to just hang back and relax. They were moving along decently and I was enjoying myself, so I didn’t feel the need to push. By the time I reached the 17th tee, another single caught up to me and we played the last two holes out together. The total pace was only 3.5 hours, so no complaints there! As for the course itself, Rams Hill is a beauty. I think the setting and conditioning may overshadow the design in some ways, but there aren’t many faults to be found. 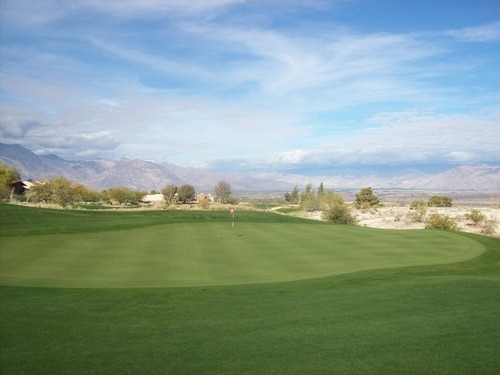 As I saw other people posting glowing reviews and updated photos on Greenskeeper.org, I actually had my uncertainties. There was no question the conditions were currently immaculate, but from the photos I wasn’t really blown away by the look of the layout. It looked very nice, but not terribly interesting or unique. After playing it, I can definitely say most photos do not do this course justice. This is a very enjoyable layout. 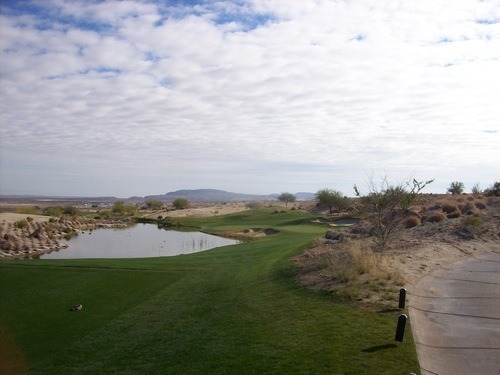 It is more wide open than most Fazio designs, but it still has some very nice visual contour, framed by the rugged desert surroundings and unobstructed views in every direction. 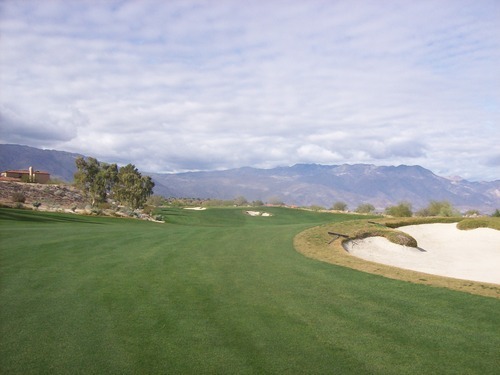 There are more changes in elevation than I was expecting, especially since all the other Borrego Springs courses are all built on very flat terrain. There aren’t any big rises or drop-offs, but it does flow nicely up, down and along the natural undulation of the property. There are some homes around the course from the existing community, and as membership for the new club grows, I’m sure further development will be in the works. 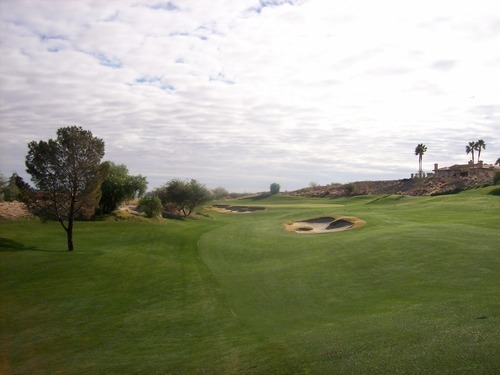 Rams Hill features a nice mix of holes. 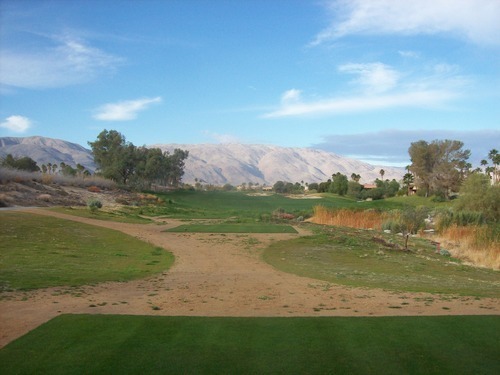 There are multiple tee box options to suit anyone’s game. 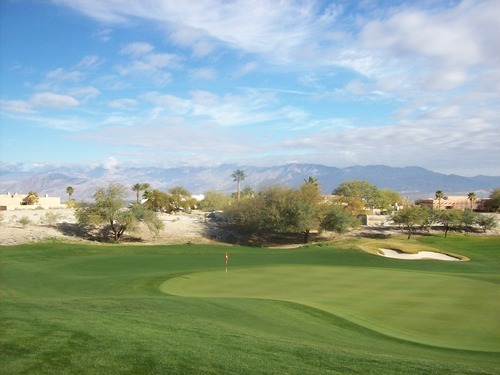 For men, there are senior-friendly white tees (5,842 yards), blue tees (6,394) for the mid-handicappers, gold tees (6,856) for the lower-index players and, lastly, black tees (7,247) for the best of the best. I played the blues, which were about the right amount of challenge for me. So, I’ll use those as my reference point. 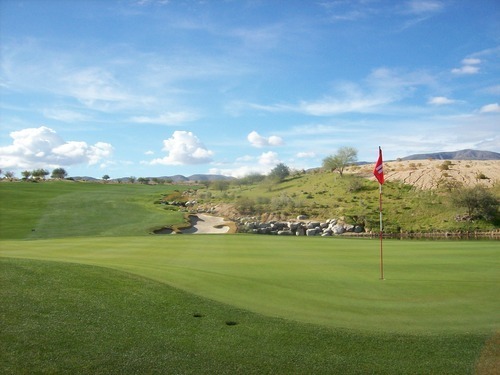 There are some shorter risk/reward holes like the 12th and 17th (both par-4s at 298 and 305 yards respectively). Both bring plenty of trouble into play to force decisions and accurate shots. 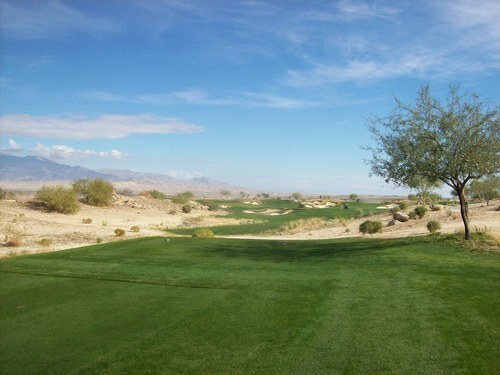 Then, there are some beastly holes like the 15th (438 yards and uphill). 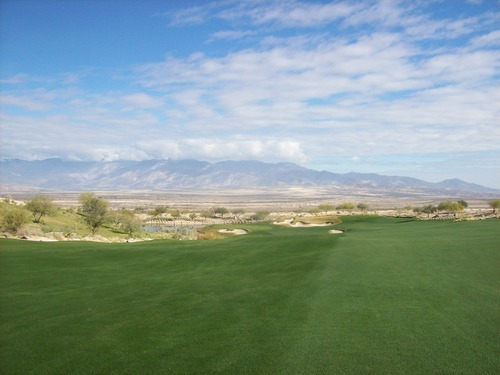 For the most part, the fairways and landing areas off the tee are quite generous throughout the course. Getting off the tee safely is rarely a problem unless you find one of the many big bunkers. 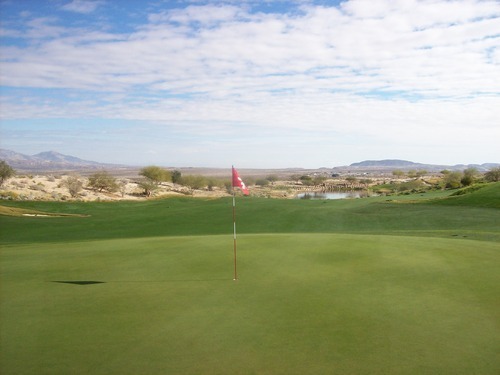 The holes lay out pretty clearly in front of you, so it’s easy to see what you need to do for an optimal position. 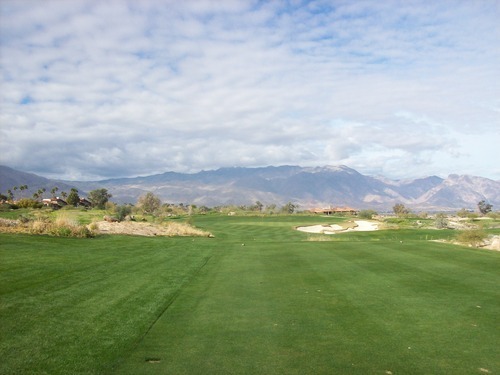 The approach shots are where Rams Hill really shows its teeth. Most of the greens are elevated and all are quite well protected. 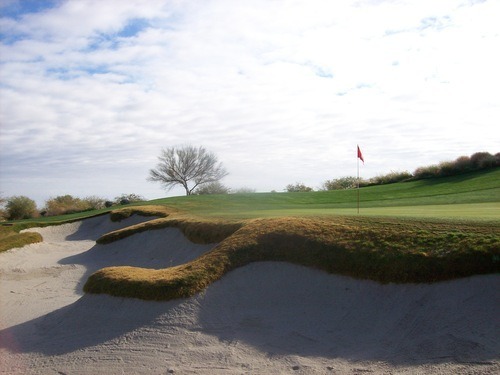 There are some deep bunkers with intricate faces (one of Fazio’s signatures) along with false edges and plenty of undulation on the greens themselves. 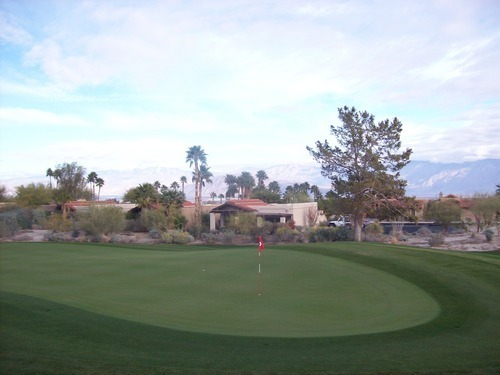 With no prior knowledge, it’s hard to know exactly where you need to land it in order to get close to the pin. One other factor that really made it tough for me is how firm the new greens are. I think they do need to mature a little bit more to be truly “perfect,” but they are still meant to play firm and fast. It takes some adjusting because you do have to account for plenty of roll-out on chips/pitches and how the ball will release on approach shots. One very unique design trait is the back-to-back par-3s at the turn. Rarely do you see a 9th or a 10th hole as a par-3, but at Rams Hill they both are. 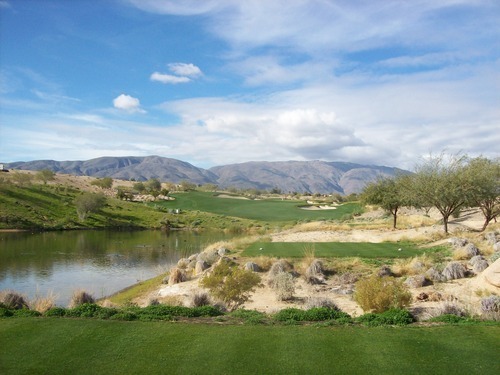 It’s unusual, but they were both nice holes with great views, so this layout “quirk” didn’t bother me at all. The 18th is a fantastic par-5 finishing hole. From the blues, it is 533 yards. 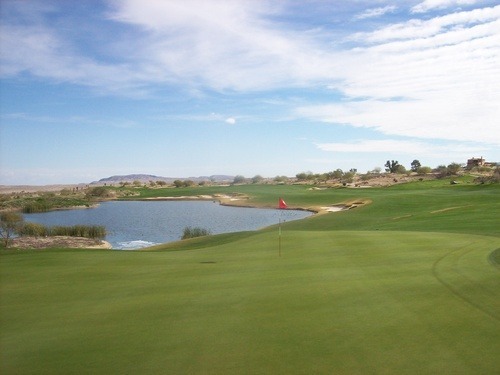 The water is directly in play to your right off the tee and then runs all the way up the hole to the green. 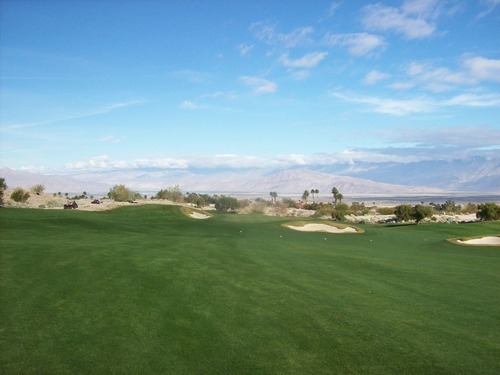 The fairway swoops around to the left and bunkers are peppered throughout to frame each shot. 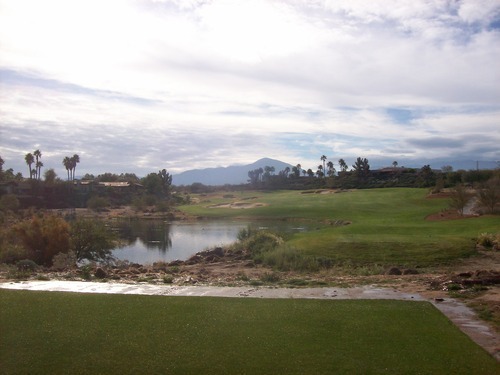 Each shot tempts you to bite off as much as you can by hugging the water’s edge, but there is ample bail-out room to the left if you want to take a safer, more circuitous route to the elevated green that has a waterfall to the right and the clubhouse in the background. I had originally gotten to the course so early because I planned to eat breakfast in the restaurant, but it was not open yet. I didn’t happen to notice any other “quick” food or drink options available (no snack bar) and there was no cart service on the course when I played. Also, you don’t go back to the clubhouse at the turn. These things may evolve as time goes on, but for right now it’s a concern and I would recommend planning accordingly. Fortunately, I had some granola bars in my bag. That had to suffice as my breakfast along with the bottles of water they put in the cart’s cooler. As for conditions, Rams Hill was in spectacular shape, just as I had heard. Being a Monday, I ran into many maintenance workers on the course. 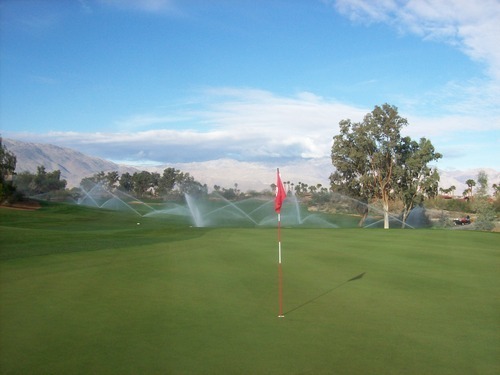 With some rain yesterday and them still running the sprinklers this morning, things were very wet throughout the front nine. The workers were quick to get out of my way and they would stand by the sprinkler boxes to turn them off and let me play through. They would turn them back on as soon as I passed, as you’ll see in a few of the photos. Obviously the maintenance crew is doing a great job because things are so nice throughout the course. The tee boxes were fantastic throughout. 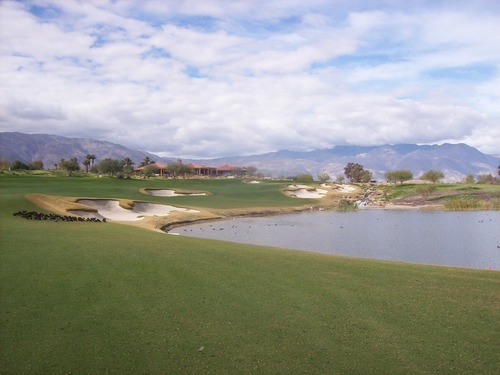 The fairways and rough were pretty much perfect, though there were some coot issues on the 18th fairway along the water. They had put down those little white fertilizer pellets throughout many holes (fairways, tee boxes and rough). Those were only a slight detraction, though my driver head was all caked with white powder by the end of the round. The greens were a tad firm, but the putting surfaces were amazing. Pure as pure can be! I was in a couple bunkers and the sand was excellent. I was surprised to see footprints in both of them, though. They didn’t appear to be fresh (as in not from the guys ahead of me). With an army of maintenance workers out, you’d think they’d have all the bunkers fluffed to perfection every morning. Other than some minor quibbles, I really, really enjoyed my experience at Rams Hill. 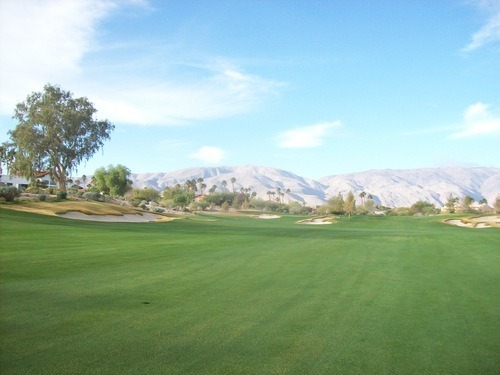 The conditioning and setting would put it on par with many top desert courses like Las Vegas Paiute, Coyote Springs or most of the nicest options in the Coachella Valley. 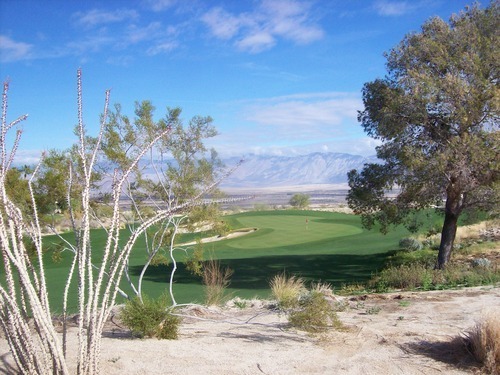 The problem is that Borrego Springs is a much more isolated community compared to Las Vegas or Palm Springs. 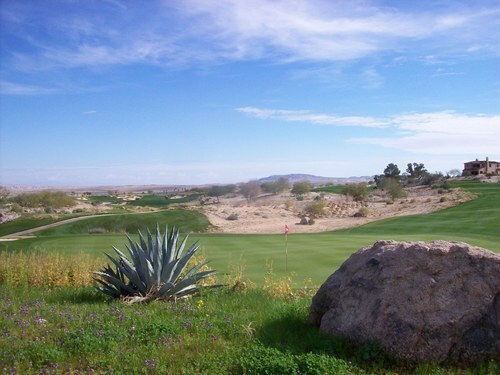 There are some other nice golf options in town like Borrego Springs Resort and de Anza Country Club, but there’s not much else around here. 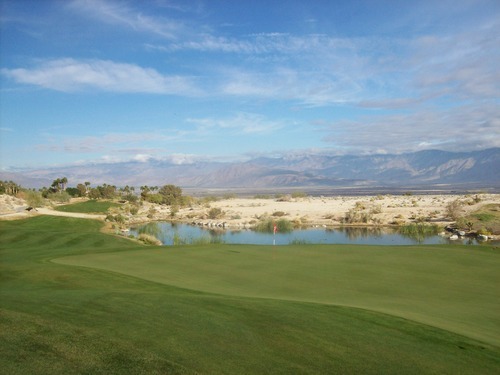 From where I live in Orange County, it’s a 2.5-hour drive to Borrego Springs. At the $20 “free voucher” rate I got, it was well worth the trek. At the $75 afternoon rate, I could see maybe venturing out here once every year or two. For $150, I would probably pass. 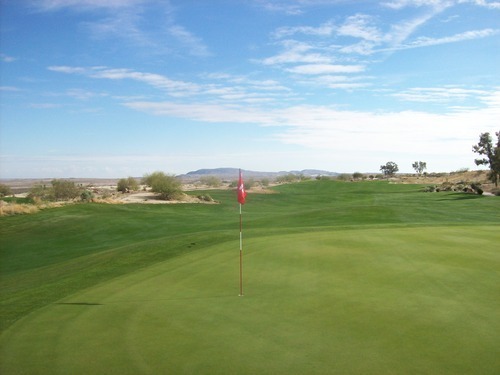 I hope the course and club are able to prosper this time around. Members will be the core of business here and guests will have to pay a premium price, so we’ll see if that leads to long-term success. 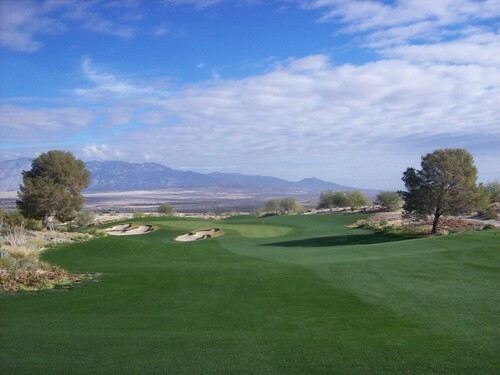 Is Rams Hill a special course that is worth a little extra attention? Yes. Is it a “bucket list” course? Borderline. If you got your voucher last year, though, you’d better make it a point to visit Rams Hill as soon as you can. You won’t regret it. One last thing to note on a personal level is that my visit to Rams Hill was also in celebration of my 600th course played. It wasn’t exactly number 600 (that was actually lousy Desert Trails in El Centro), but it was close enough to be the “celebratory” round for this achievement. With a big chunk of the new courses I played between 500 and 600 being local short courses, I didn’t feel compelled to make a huge deal out of this milestone. That said, Rams Hill was certainly special enough to mark the occasion. Note: I’ve been back to Rams Hill at least once a year since this first visit, though I’ve only reviewed it a couple times. My most recent review is from 2016, so be sure and check that out.